The original digital pet you love is back with the original colors just like how you remembered them in 1997! The Tamagotchi Classic Wave 2 Random Pet features original programming: you feed it, clean up after it, take care of it and even discipline it if it's bothering you when it doesn't need you! Plus, you can play the Character game! How you take care of your Tamagotchi and how you do in the game, decides which adult Tamagotchi you'll get! Includes the 1x "CR2032" battery and attaches to your bag so it goes everywhere! Ages 8 and up. 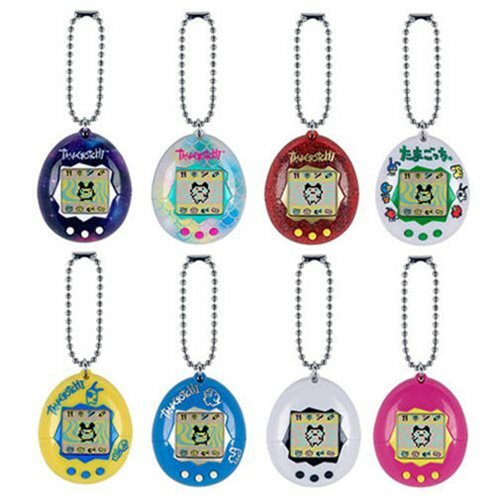 The Tamagotchi Classic Digital Pet Wave 2 Random Pet is randomly picked. Please note: Item selection is random. We cannot accept requests for specific items, nor can we accept returns on opened items.